Cleveland Clinic is leading the field in social media healthcare. How is this clinic a leader? If you see the site then you will understand. It’s really amazing and helps people to interact and engage. Before I begin telling how it does this; you’ll need a quick background on the healthcare industry and Cleveland Clinic. The Healthcare industry in social media is on an amazing growth rate. There are four areas that social media impacts on that concern the professional bodies. In Robin Carey’s article for the HealthWorks Collective (part of the Social Media Today Community) she talks how Paul Matsen (an outsider from the airlines industry) helped Cleveland advance healthcare in social media. Cleveland set its sights on becoming a credible source of information and creating inter-active patient engagement. It created a Health Hub for healthcare industry and public by producing a patient-friendly platform. They are active on social media platforms such as Facebook, Pinterest, LinkedIn, Twitter, YouTube and Google+. The most interesting thing about their site is that they have created a Health Hub. This Health Hub provides information and articles from medical professionals working at the Cleveland Clinic. The articles offer tips on healthy living, healthcare, diseases and updates to educate the public on how to improve their health. It is the constant feedback that they receive that helps them to improve site. 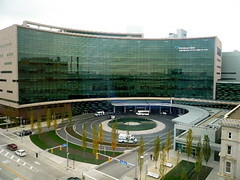 So visit the Cleveland Clinic to understand how they have advanced healthcare in social media. Is this a good site? What do you like about the site? Do you have a better site? What makes that site better? What else could be done to improve social media sites?